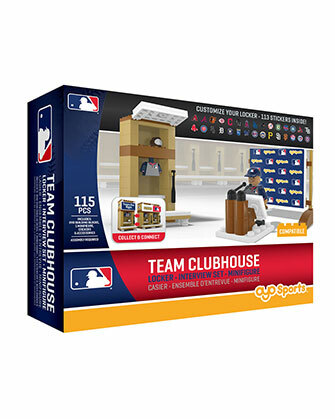 Experience post-game action and let your imagination run wild with a 115-piece buildable team clubhouse! The clubhouse includes a locker that features a storage cabinet with swiveling door, removable bench and a place to hang your uniform. Step up and face the press with our buildable interview podium that includes a 2-in-1 interview board as well as a manager minifigure. 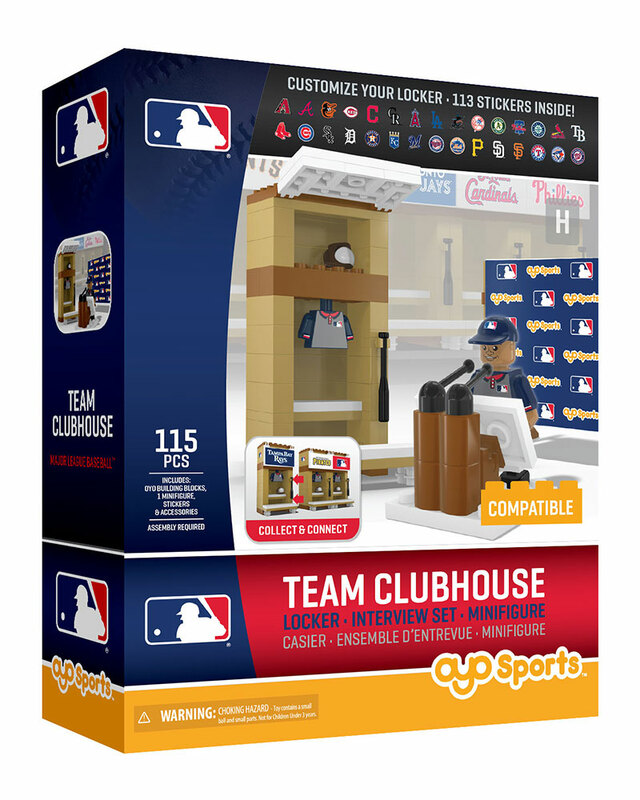 Comes with a 113-piece decal pack that allows for customization of your favorite team! The perfect gift for the biggest (and littlest!) sports fan in your life. 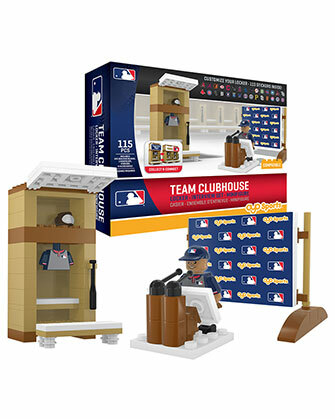 Includes storage compartment, removable bench, interview podium, 2-in-1 interview board and manager minifigure. 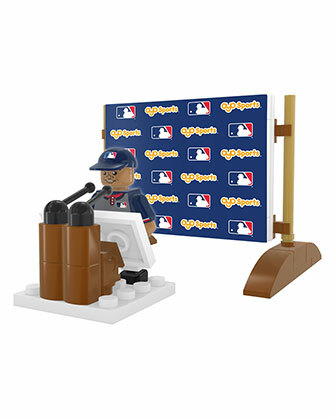 Minifigure accessories: Manager minifigure comes with bat, ball, glove and hat. 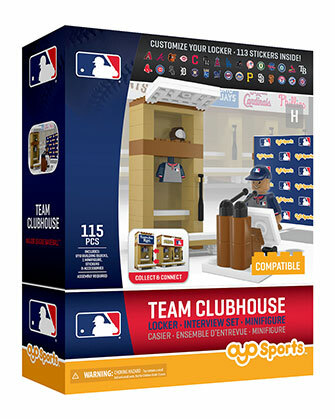 113-piece decal pack that allows for full-team customization. 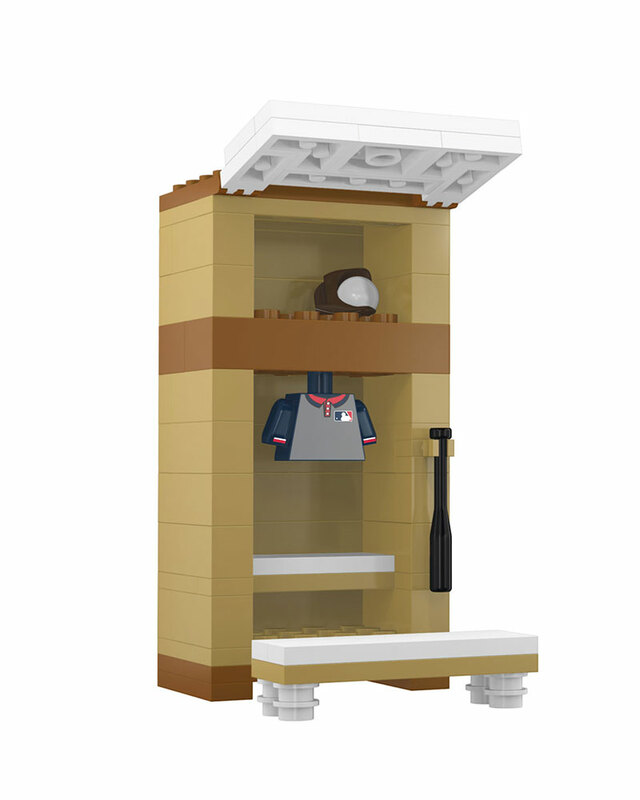 Dimensions: 1.87; L x 1.87; W x 3.75; W.
* Please note: Jersey in locker is not included, shown for demonstration purposes only. Grandson really enjoyed, will have to get more. We haven't put it together yet so I didn't want to rate it any higher. My grandson loved building and personalizing the clubhouse! This is going to make a great Christmas gift for our son! Fun addition to our baseball collection. Details are great. Product is much smaller than expected. Can't wait to see what it looks like when completed. Cool. 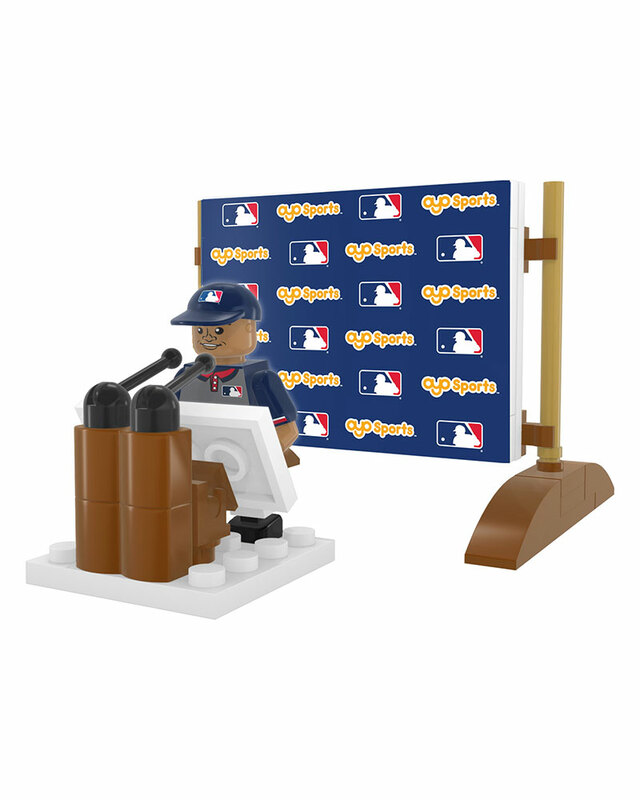 I can call a press conference. Great addition to collection of players! My boys love theirs!!!! The only thing is they are quite pricey. 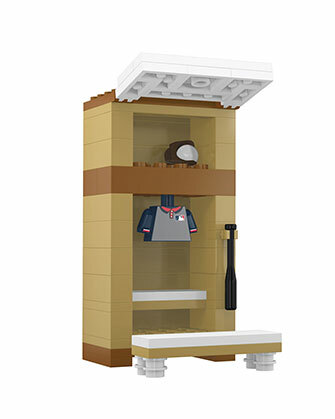 Used as an addition to Lego Stadiums display. Used for a baseball display.